Christopher Columbus was one of the major explorers. He was born in Genoa, Italy in 1451, and died on May 20th, 1506. Columbus did not have much education. He only developed his education as an adult, and then was able to read and write. His biggest wish was to go to sea, and believed he would be able to find India with a shortcut; sailing westward. The only reason he wanted to go was because he would get well paid. Many people wanted to find a short cut to India so they would have to avoid a very long route. The Spanish were up to the challenge. Columbus’ work influenced the first trade and trade routes between Europe and several other countries. He started slavery in the new world. Columbus was granted three ships for his first journey. They were the Santa Maria, the Pinta and the Niña. On the first journey Columbus attended, he sailed west and found an Island in the Bahamas. On October 12th, 1492, he landed in the New World. Since then Spain and Spanish people celebrate Christopher's voyage and arrival in the New World. He passed Puerto Rico and Navidad on November 27th - 28th on his second voyage. 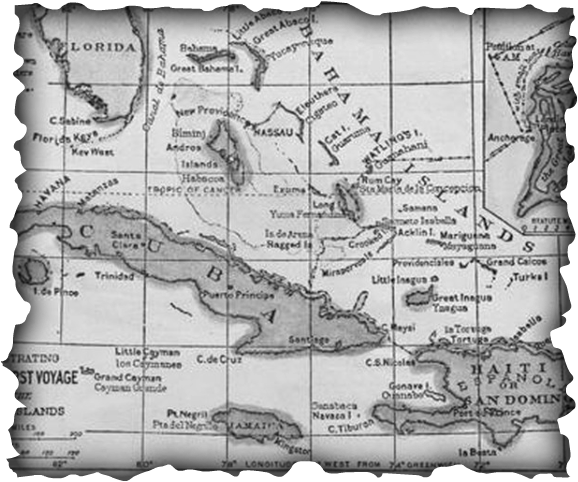 On his third voyage he explored Jamaica and South America. On the fourth and last voyage, Columbus found Guanaja Island, and Honduras in Central America. Instead of finding and exploring India, he discovered the New World. When he went to the West Indies, he saw foods that were not really known in Europe; pineapples, sweet potatoes, and corn. Also he found people smoking the plant known as Tobacco. These people were Indians to Christopher Columbus, although they were Native Americans. When he went to South America, bringing diseases such as Smallpox, Influenza, Typhus (an infectious disease caused by rickettsiae, characterized by a purple rash, headaches, fever, and usually delirium, and historically a cause of high mortality during wars and famines), Measles (an infectious viral disease causing fever and a red rash on the skin, typically occurring in childhood), Malaria, Diphtheria (highly contagious throat infection) and Whooping Cough (a contagious bacterial disease chiefly affecting children, characterized by convulsive coughs followed by a whoop), that would eventually wipe out a large percent of the population. Also he brought Livestock and grains: cattle, sheep, pigs, horses, wheat, rice, barley, and oats, but that was not all the food, because he also brought: peaches, pears, coffee beans, turnips, olives, onions, citrus fruits, grapes, bananas, sugar cane and, honey (bees). 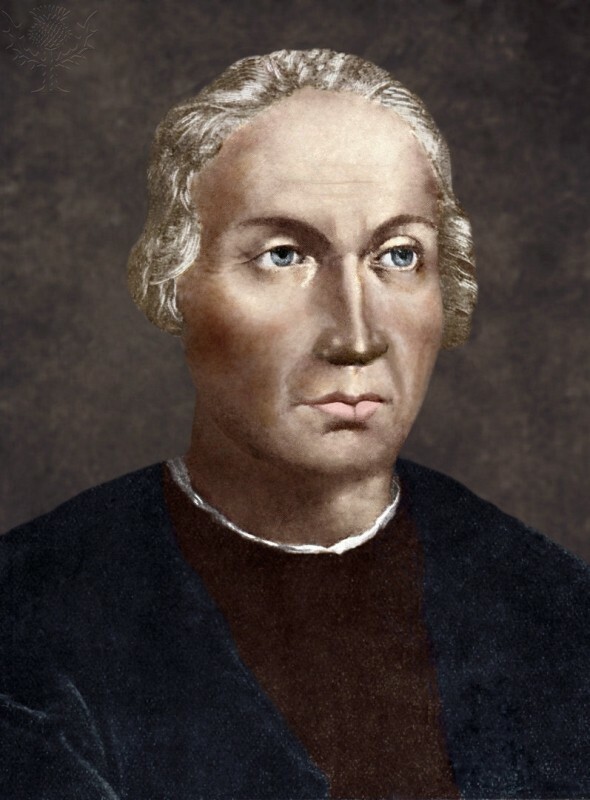 When he traveled back, Columbus also brought back several goods, such as: pumpkins, sweet potatoes, turkeys, peppers, tobacco, pineapples, cacao, beans, vanilla, corn, tomatoes, potatoes and peanuts. To be able to time the speed of the ship, he used a sand glass. Spain and Portugal were bitter rivals: both wanted to establish colonies oversea. In 1494, the pope made a contract with all those people, but many people were not happy with this agreement. That's when Ferdinand Magellan had a brilliant idea; He wanted to sail around South America and find a passage into the Pacific Ocean, to go westward to the Moluccas (Spice Islands and to then claim these for Spain. Storms, mutinies and diseases led to the majority of his sailors and at the end himself too, dying. Only 50 years later the sailor named Francis Drake should succeed the second circumnavigation of the world. Magellan’s influenced the navigation of the world, due to the fact that he found out that the world was not flat but round. He opened up trade and established the International Date Line. Also when he returned, he found that his calendar was a day behind. Magellan was one of the most known and greatest explorers in the Renaissance period. He was born in 1480, and in his mother tongue his name is differently pronounced and written. When he was 25, he became a soldier and served in India. He went to offer his services to the king of Spain in 1512. Many rumors said that there was another ocean on the other side of the New World that Christopher Columbus discovered, so Magellan was very inspired. King Charles I of Spain approved Magellan’s plan in 1518. On September 20th, 1519 they finally sailed to sea after a year of preparation. After a long journey, Magellan and his crew moved onto the Spice Islands when they sailed back around the tip of Africa with only 10 men left. Magellan did not live to the end of his journey, but he still is considered the leader of his troop. Magellan opened trade routes for everybody and he was the one to find the first proof that the world is round. 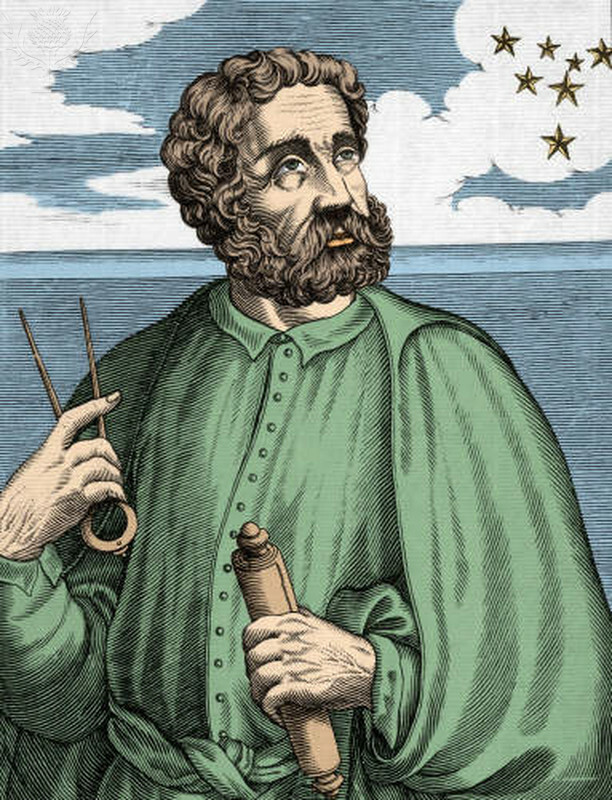 Marco Polo was a pre-renaissance traveller. He was a Pioneer(a person who is among the first to explore). Polo inspired many European-people. 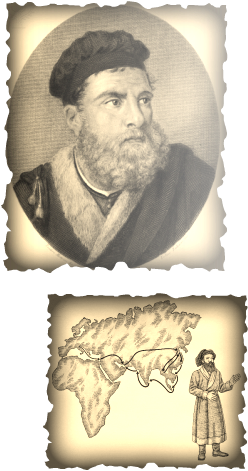 Marco polo was a famous traveller. He was a Venetian (italian) explorer who travelled through central Asia and China. He was born in 1234 into a merchant family in the Italian city-state of Venice. He was named after his uncle and grew up to be a powerful youth. He was seventeen when he had his first journey to China in 1271 with his father and uncle. When he came to China he worked for Kublai khan, the mongol emperor, for about seventeen years. He brought back ivory(a hard creamy-white substance composing the main part of the tusks of an elephant, walrus, or narwhal), jade(a hard, typically green stone used for ornaments and implement), jewels, porcelain, and silk. The Polo’s set off by land for Venice, but along the way they were robbed of most of their earnings from China. When they arrived in Venice in 1295, they had been gone for 24 years. The Polo’s became wealthy in China, where they lived for many years. Soon after Marco returned back to Venice, he was sailing aboard a ship that was captured by forces of the trading city of Genoa, a rival of Venice, during a battle in the Mediterranean. Marco was thrown into a Genoese prison. There he wrote his book with help from another prisoner, Rustichello, who was a writer of romances. His books gave Europeans some of their earliest information about china. He wassoon released from prison, then he died on the 8 of January 1324.